The Farina family has roots in agriculture and winemaking tracing back to the beginning of the 16th century. 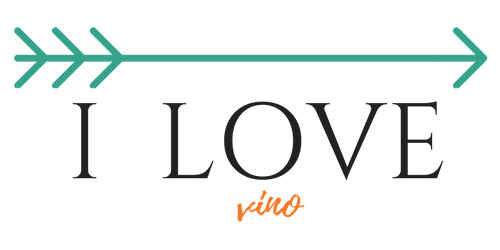 Today they combine the most modern concepts in winemaking technology with ancient, time-tested methods to produce rich, elegant wines. The winemaker picked the best Corvina, Rondinella and Molinara grapes. After the wine is fermented directly when harvested, The Ripasso method means that after a few months (in the spring) the wine undergo second fermentation on Amarone’s crushed grape skins. Ripasso is the traditional method in Valpolicella to get richer color, aroma and body of the Corvina based wines and it also prolongs wine’s longevity. Grapes from the original Valpolicella zone are designated Valpolicella Classico. 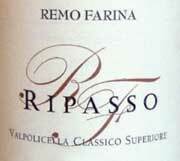 Wine that have a higher level of alcohol and that received an additional year of aging, like Remo Farina did, are designated Superiore. A beautiful deep ruby color with the typical earthy aroma that I love so much on Italian wines. Promises spices and dried cherries and grapes. As it opens up I tasted a lot of spice, rich flavors of dried fruit and light compliment of oak. Great balance with acidity and long finish. Excellent value for a Ripasso.